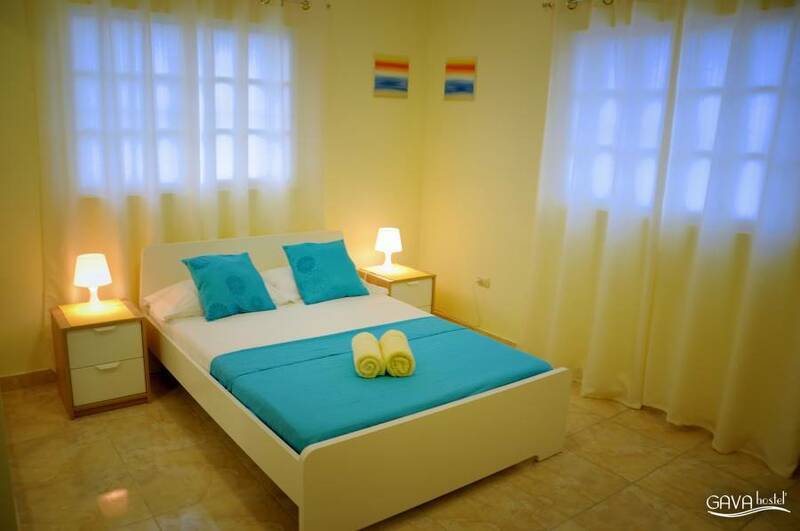 Visit us to experience a new level of comfort in a homely small guest house, where you can relax a tropical paradise. We have clean rooms, cozy and great atmosphere, where you can have fun and meet new friends! In the evening you can enjoy some peace and quiet as there are no bars directly by us, so you can be assured of a good night's sleep! Being owner-run, we use pride and passion to provide a comfortable home-away-from-home experience drawn from having travelled the world, collecting the best ideas from hostels in dozens of different countries and putting them all in the one place amazing place! A homely comfort hostel into a 7 minutes the Ocean. 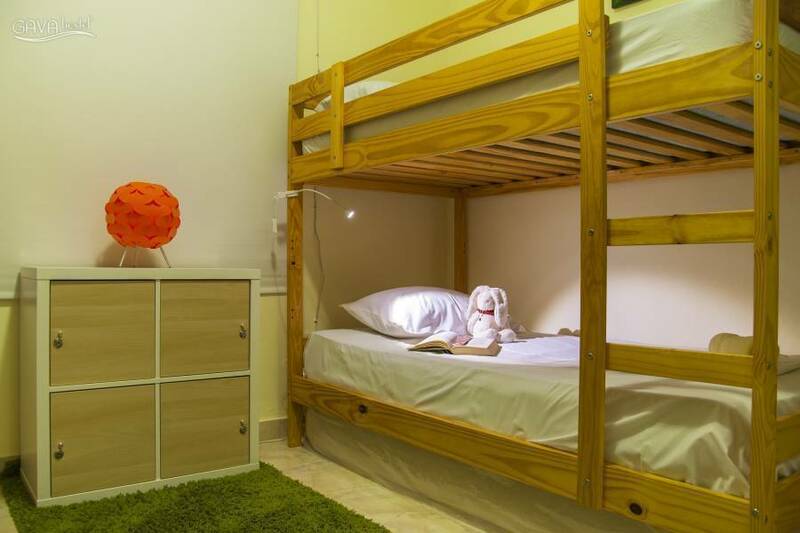 The hostel can accommodate up to 8 guests private room and shared room, all two comfortable bathrooms. Private double room with suite spacious bathroom. This room is designed for couples or singles, this essential comfort and privacy. Quality furniture, bedside tables with night lamps, closet for luggage with large mirror, fan. A bed with comfortable mattress (medium soft). In the room and the bathroom has plenty of outlets for charging laptops and other gadgets. Good access to wireless Internet (Wi Fi). We provide for use free fresh linens and towels. Entrance to the room by using private key. Mixed dormitory room with shared bathroom. 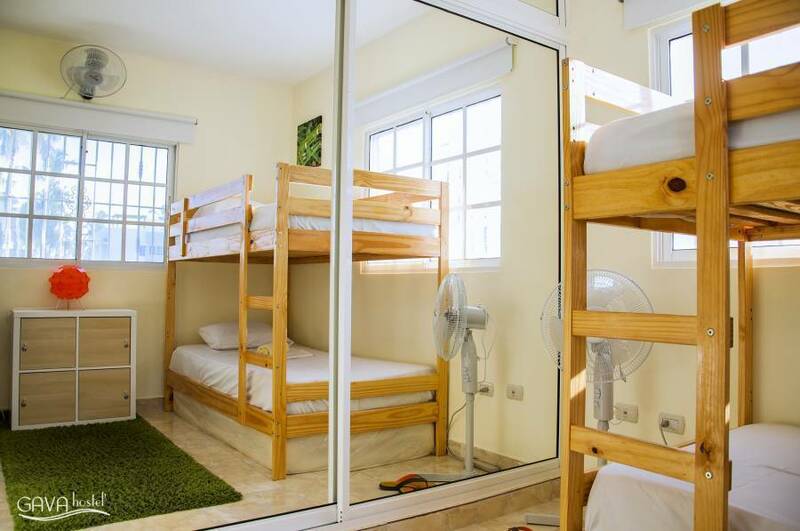 Room designed for a stay of up to four people to communicate with new roommates, which adds to the fun of staying in a hostel. Shared room contain quality solid timber bunks with comfortable innerspring mattresses. Room are equipped with a fans, a closet for storage with mirror and personal lockers with the key. We provide for use free fresh linens and towels. Window blocking sunlight. In the room and the bathroom has plenty of outlets for charging laptops and other gadgets. Relaxing red lamp, will allow you to navigate the night in a time when people are sleeping. Reading lamp, is attached to the bed and allows you to read before sleep. 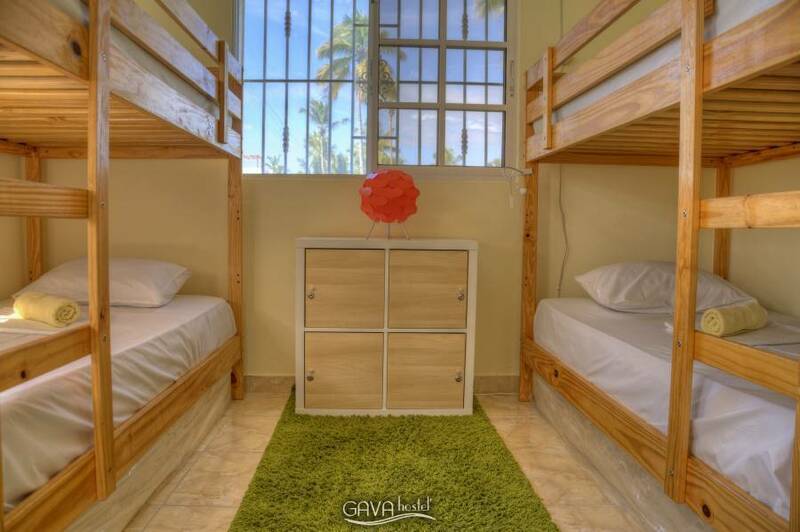 Offers individual (Private) and shared (Dorm) rooms, free Wi-Fi. 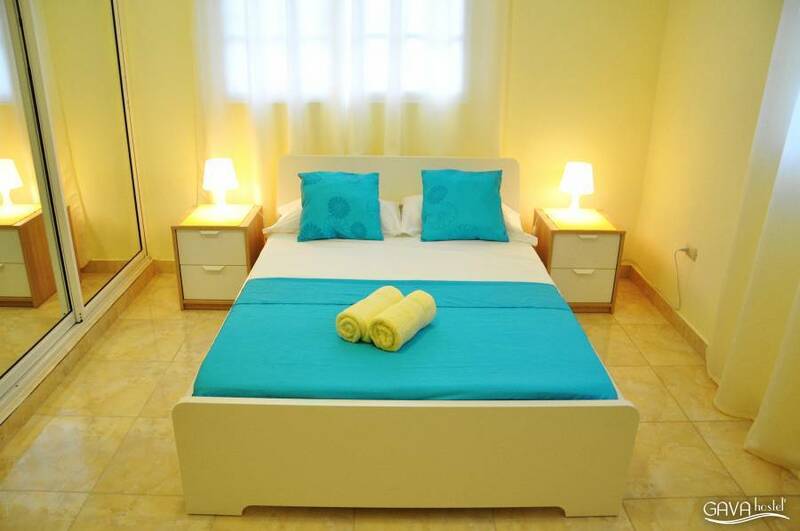 In the kitchen, equipped with all necessary appliances and fresh linen and towel provided free of charge. Large living area connected to kitchen and shared bathroom. A large outside area where you can easily socialize with fellow travelers, for relax in our fantastic outdoor terrace on the roof. Hope this helps you plan your stay, and we would be happy to help you make arrangements for any of these activities. Here you can see those most requested and choose yours. ADVENTURE ON BUGGIES (PLAYA MACAO AND CENOTE TAINO): half day $65 U. S./one-two person, includes transportation, equipment and drink/ Visit the unspoilt beach of Macao in buggies It’s a fun way to see local towns, feel the adrenaline of the buggies and bathe in one of region’s wild beach Macao and a cave with freshwater springs where you can swim in the crystal clear waters. SAONA ISLAND TOUR: full-day $75 U. S./person, includes transportation and delicious meal, alcohol/ This is most beautiful and wild island! Tour bus will pick you up to the charming fishing village of Bayahibe, where we will board an Incredible Catamaran to the Saona Island. The island itself offers plenty of lounge chairs on the beach, lots of souvenir shacks, and the most beautiful scenery. Volleyball, meringue and salsa dancing, an open bar, will be followed by a barbecue. Lunch is served! You will have a delicious buffet: BBQ chicken, fish, meat, spaghetti, potatoes fried, Russian salad, vegetables, tropical fruit and other drinks - Cuba Libre, Rum. On the way back, will stop at the incredible "Natural Pool". This is an amazing breath-taking of the sea of a beauty so bright that you won't believe that exist. ISLAND CATALINA: full-day $80 U. S./person, includes transportation and delicious meal, alcohol/ Enjoy a day of amazing reefs and divine beaches on Isla Catalina. Full day boat trip where you can get up close to marine life by snorkeling from the boat. You will relax on the beach with a delicious local barbecue meal in the garden of coconut trees. SWIM WITH DOLPHINS: $149 U. S./person, includes transportation and equipment/ We'll visit Bávaro's parks, where we'll spend a day together surrounded by vegetation and animals that we can interact with, like sea lions, multicoloured birds, manta rays, and even dolphins. Take an exciting swim with them and enjoy the strange feeling of their skin! SAMANA (EL LIMON WATERFALL AND CAYO LEVANTADO): full-day $129 U. S./ person, includes transportation and delicious meal, alcohol. To see the lush region of Samana, you’ll be taken by safari truck to a typical farm where enjoy a tasting session. Next, travel on horseback towards the El Limon Waterfall. Then have lunch at a ranch, surrounded by tropical vegetation. Continuing by catamaran, complete with refreshments, will take you to the luxuriant Bacardi Beach on Cayo Levantado. Here, you can relax in the sea or recline in a hammock on this idyllic islet. CATAMARAN CRUISE (PARTY BOAT): 2-3h. $50 U. S./ person, includes transportation and alcohol. Spend the day taking in the natural beauty the marvelous clear Caribbean waters. Let it mesmerize you with its turquoise water. A bar will be available for drinks and all typical music. SAFARI (LOCAL LIFE-HIGUEY, MACAO BEACH): half day $65 U. S./ person, includes transportation and meal. This day will show you what you wanted to know, see and try on local life. This trip will open your eyes to a real truth about the locals, how they live, go to school, work. Everything you wanted to know is in here. Try to understand! PARASAIL: 2h. $60 U. S./ one-two person, includes transportation. Flying over the famous resort of Punta Cana, this is a spectacular sight of all year! You can see the reefs in the shape of hearts, after which you Can fall in love! SNORKELING (BAVARO BEACH): 2h. $35 U. S./ one person, includes transportation. You will board the catamaran to go to the natural pool, where you can enjoy swimming take pictures of the star fish, there's a lot of them around. COCO BONGO NIGHT CLUB (MORE THEN 40 SHOW+OPEN BAR+TRANSFER): 10 pm – 3:30 am $75 U. S./ person, includes transportation and alcohol. This is one of the best places for night travels. An extensive program of shows in the evening. This is a must see! SANTO DOMINGO (CITY COLONIAL): full-day $80 U. S./ person, includes transportation and delicious meal. A historic place with 16th century architecture, where she was buried, the legendary discoverer of lands - Christopher Columbus. You will see the most important objects of history, walk through the colonial city and feel the atmosphere of the first city in all of South and North America. Centrally located, in the El Cortecito, Street Russia, opposite the Hotel Barceló Dominican Beach. Hostel is within walking distance to the grocery store, the bakery, the pharmacy, a fresh produce market, restaurants, bars and banks (ATM). A short distance from the most complete mall the Palma Real Shopping Village, there are: Hard Rock Cafe, Tony Roma's, El Burrito, banks, offices of mobile operators, movies, souvenir shops, casinos and many fine dining options. At night, enjoy music and to learn dance Bachata in the best night clubs: Mangù, Imagine, Coco Bongo. The breakfast is perfect French bakery, which is 7- minutes away. Here you can savor the aromatic brewed coffee and a fresh croissant or sweet dessert. Please note, if canceled, modified or in case of no-show, the total price of the reservation will be charged. Notice of cancellation must be given, please inform us of a cancellation so we may give another guest an opportunity to request accommodation. 7. It is forbidden to eat and save food in the room. Located just off breathtaking turquoise waters of the most beautiful beach in the Bavaro beach, this tourist and beautifully place. El Cortecito neighborhood offers all the amenities within a short distance, and is one of the most desirable areas in all of Bavaro, Punta Cana. Stay within a colorful & lively Bavaro neighborhood, meet locals as well as others exploring the island, immerse yourself in the Dominican Republic culture, soak up the sun on the beautiful beaches, and maybe practice your spanish. We have a Shuttle service from the Airport to the hostel, the driver will meet you personally. Nearest airport: Punta Cana International Airport can be reached in 20 km away.